Dealing with a divorce is never an easy situation. From looming child custody battles to the struggles of coming up with a fair and workable solution to alimony, it can be emotionally complex and legally trying. At Cutter & Lax, Attorneys at Law, we understand just how daunting this can be. We also, however, know that these complications can be compounded when experienced by a military member. When divorces are faced with the added complexities of deployments and families moving from military base to military base, it can create elevated stress and confusion that exceeds the limits of normal circumstances. Why Work with Our Family Law Firm? Our firm recognizes these delicate situations and understands the questions you may be asking yourself. You may have questions about jurisdiction, about how moving away can affect your future relationship with your children and other situations specific to military men and women. We are uniquely qualified to help answer them. Our lead attorney Nelson Cutter not only has 30 years of experience practicing family law, but has also spent serving the United States Army as a JAG Corps Legal Assistant at Fort Hood in Texas. 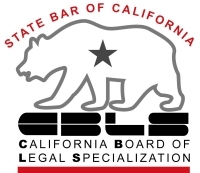 of California Board of Legal Specialization in family law. This seamless blend of legal and military experience equips him with the knowledge necessary to provide efficient and sensitive legal assistance to members of all the different branches of the military. Our legal team proudly serves members of the Army, Air Force, Coast Guard, Air Force and Marine Corps. If you have questions about your case or if you would like to discuss your case with a legal professional, it is extremely important that you do not hesitate to get the involvement of a California military divorce lawyer from our firm as soon as possible. We can schedule an initial case consultation to help discuss your case. Military members and their families are unique. Their careers are highly specific, often requiring them to move from place to place – often internationally. In many cases, families may be separated for months or even years at a time. Our firm understands the pride service members take in their careers and their service to the country. We also understand that their divorces can be complicated. With an in-depth understanding of military law, we feel that we are uniquely prepared to provide service members the aggressive and experienced representation that they truly need during this troubling time. Beyond the initial divorce filing, we also have the level of experience necessary to handle the related legal issues. We know that military members face the same complications as civilian divorces; we can help to address issues that may arise about custody, child support and alimony. We can even help if you are looking to modify a previous divorce or if you have to move away and aren't sure how that will affect your previous arrangements. No matter the circumstances that life throws at you, you can be confident in knowing our firm has the knowledge and hands-on experience necessary to help you navigate through it. When you're facing a situation where you just cannot afford to wait, you should not hesitate to pick up the phone and contact a lawyer from our firm. We know that time is of the essence and we will be able to help evaluate your case and determine the best course of action. So what are you waiting for? When you have this much on the line, you can't afford to wait. Contact our firm today to schedule your initial case consultation.